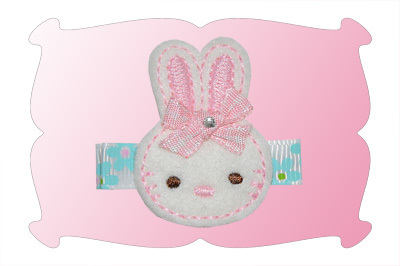 Hop on over and see our newest Easter bunny snap clip! Bunny: 1.5, 1.75 and 2.00 inches. Make the bunnies boys or girls! 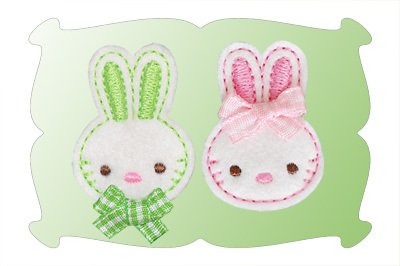 Make them in colors to match every Easter outfit! 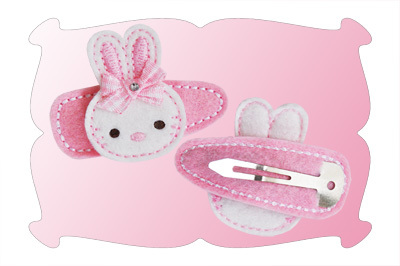 ...or attach them to ribbon covered alligator clips. 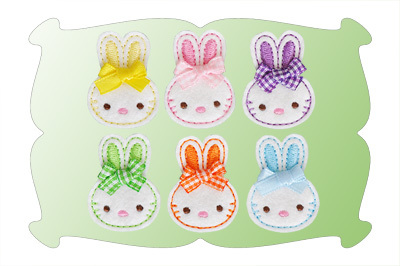 They would also be darling attached to an Easter basket of gift bag. Design files are included to make one at a time or make multiples with only 3 color changes. We've included design files to make multiple bunnies or different color bunnies all in one hooping. Both 4x4 (make 4 in one hooping) and 5x7 files (make 6 in one hoopping) included to make multiple bunnies. The Bunny comes in 3 sizes: 1.50, 1.75 and 2.00 inches.